This plants called awar-awar in bahasa or Ficus septicum Burm. The peoples of my country believe it can heal rheumatisme, headache and herpes. One more wild plant that it is now has a lot of properties and benefits it turns out there is around us. Plants awar-awar or in Latin called Ficus Burm.b septicum is a type of wild tanama that can damage other plants available in garden. Plants awar-awar leaves themselves have characteristic twisted trunks bent staple, soft, rounded branches cylindrical, hollow, bare, clear gummy. Single fulcrum leaves, large, very pointy, single leaves, stalks, leaves alternate or opposite sat, stemmed 2,53 cm. Efficacy and Benefits Awar-awar leaves for Health. Now the name of this plant is the more well known because it has proven the efficacy and benefits, although the plant Accordingly awar-awar have other designations vary in each region such as: Betel popar (Ambon) Tagalolo, Bei, Loloyan (Minahasa); Ki ciyat (Sunda); Awar awar (Java); Bar-Abar (Madura); Awar awar (Pacific Islands); Tobotobo (Napier); Dausalo (Bugis); Bobulutu (North Halmahera); Tagalolo (Ternate). FOREIGN NAME: Papua New Guinea: OMIA (Kurereda, Northern Province), manibwohebwahe (Wagawaga, Milne Bay), bahuerueru (Vanapa, Central Province). Philippines: hauili (Filipino), kauili (Tagalog), sio (Bikol). According to some scientists who have conducted research on the content of awar-awar found a number of compounds such as flavonoids, sterols. 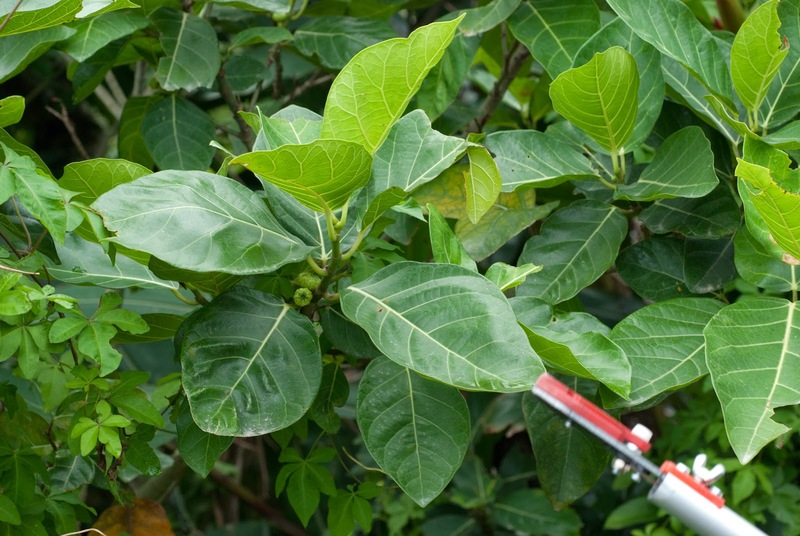 Not only was awar-awar leaves also shown to inhibit the growth of Bacillus subtilis and Escherichia coli in vitro, test results bioautografi reported that 4 g of leaf extract soluble awar awar methanol to inhibit bacterial growth. Antofin (5 g) as an antibacterial effect (B. subtillis, M flavus and E. coli). From the above more clearly if it is true that this atu plants have health benefits such as: medicine skin diseases, appendicitis, ulcers overcome, snakebites and shortness of breath. The roots are used to counteract the poison fish and prevention of asthma. How To Use: Juice of water from the collision and anise roots awar awar pulowaras can be used to treat poisoning fish, yam (Dioscorea hispida dennst) and crab. If pounded with a handful of grass roots and the water is squeezed is a drug that causes vomiting is very potent.